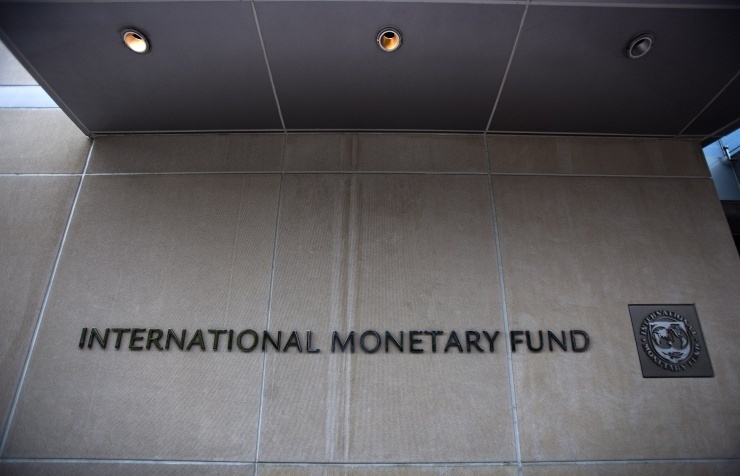 IMF disenchanted with Ukraine’s unpreparedness to fight corruption, continues feeding it « News.Kyiv.Me. MOSCOW, February 11. /TASS/. Western sponsors are getting disenchanted with official Kyiv’s unpreparedness to fight corruption but the International Monetary Fund (IMF) will continue “feeding” the Ukrainian government for political reasons, experts polled by TASS said on Thursday. 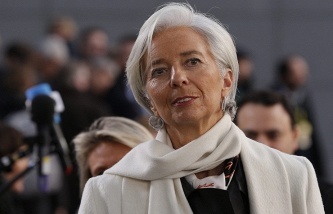 IMF Managing Director Christine Lagarde said on Wednesday the IMF might halt the program of its support for Ukraine, if Kyiv failed to implement promised reforms. Before that, Lagarde said that if scandalous revelations by Ukrainian Economic Development and Trade Minister Aivaras Abromavicius were confirmed, this would show that Kyiv’s anti-corruption measures were not working. Lagarde was not the first to criticize the Ukrainian authorities for Kyiv’s failures in the struggle against corruption. Similar statements were made by German Foreign Minister Frank-Walter Steinmeier and ambassadors of some countries in Ukraine. The data published in January by Transparency International suggest that Ukraine was among the worst performers in the 2015 Corruption Perception Index. The country was ranked 130th in the list of 167 countries and was placed between Paraguay and the Comoro Islands. A barrage of criticism has made the Ukrainian authorities seriously preoccupied with the matter. Already on Thursday, immediately after the statement by the IMF managing director, Ukrainian President Pyotr Poroshenko assured Lagarde of his commitment to the reforms of state governance and the struggle against corruption. The National Bank of Ukraine called as vitally important the resumption of cooperation with international donors, in the first place, with the IMF, considering that Kyiv hopes to build up its international reserves to $19.6 billion by the end of 2016. The IMF’s four-year EFF (Extended Fund Facility) adopted in March 2015 envisages allocating about $17.5 billion in loans to Ukraine at reduced interest rates. 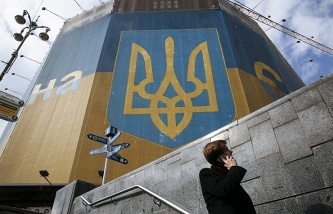 So far, Ukraine has obtained the first two loan tranches of slightly less than $7 billion. Under its existing procedures, the IMF provides loans on the terms, the fulfillment of which allows a particular country to receive financing, Eurasian Development Bank Chief Economist Yaroslav Lissovolik said. “This set of the IMF’s instruments has been developed over decades and is considered as efficient. It aims both to grant a loan and change the structure of a country’s economy and improve its quality rather than to retouch the problems,” Lissovolik told TASS. According to the expert, in cases when a country fails to fulfil a critical share of loan provision terms, the IMF suspends its financing. A revision of terms is also possible. In the case with Ukraine, the talk was about the need to cut ineffective expenditures and carry out structural reforms. “It is difficult to predict over which time Ukraine and the IMF will overcome divergences and agree their positions but if they come to agreement on this score, there will be no delays with the provision of a new loan,” Lissovolik said. His view is shared by Head of the Department of World Economy at the Higher School of Economics Leonid Grigoryev. “The IMF will all the same grant a new loan to Ukraine, despite the scandal with the resignation of Economic Development Minister Abromavicius who didn’t want to have his reputation damaged over corruption schemes in the Ukrainian government. The IMF is forced to ‘feed’ the government of Ukraine for political motives,” Grigoryev told TASS. “Kyiv will once again promise Western sponsors to carry out structural reforms in the economy, although it does not want to deal with this and the IMF will once again meet it halfway,” the expert said. Director of the Department for Strategic Analysis and Developments at Vnesheconombank Vladimir Andrianov believes that it is increasingly difficult for the International Monetary Fund to ignore the scandal around the resignation of Abromavicius who has entered the public realm. “This candidature was lobbied by the United States and agreed with international financial institutions. Abromavicius’ resignation suggests that Ukraine’s oligarchic system was built in a way that it can’t be changed. Corrupt officials cannot themselves struggle against corruption,” Andrianov told TASS. In his opinion, none of the terms stipulated by the IMF for the provision of loans is being fulfilled in Ukraine. There is neither political will, nor legislation nor civil consensus for that, the expert noted. “Nevertheless, the IMF will most likely sacrifice its principles and allocate a new loan tranche to Ukraine under US pressure. The Americans cannot give up their protege Poroshenko. The Ukrainian president will probably sacrifice the government of Arseniy Yatsenyuk, offer the candidature of a new premier and this cosmetic measure will end the whole matter,” the expert said.